An attractive cat keyring with a quality silver plated finish, and including a circular disc for engraving. These 80mm x 26mm keyfobs feature a sitting cat design with polished silver finish, giving a smooth and silky feel in your hand. The fob is attached to a sturdy circular ring, as is a small disc. The disc is ideal to be engraved to create a custom gift or unusual corporate gifts. 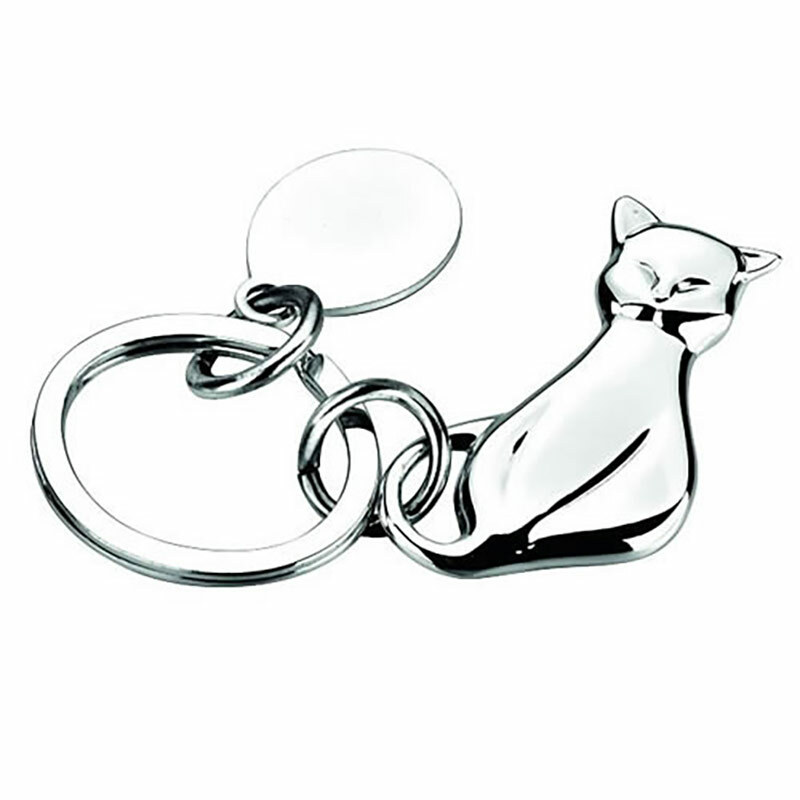 These silver cat keyrings are offered with free engraving.